Amla or Malacca tree from Sanskrit amalika, is a deciduous tree of the family Phyllanthaceae. It is known for its edible fruit of the same name. In traditional Indian medicine, dried and fresh fruits of the plant are used. All parts of the plant are used in various Ayurvedic and herbal preparations, including the fruit, seed, leaves, root, bark, and flowers. According to Ayurveda, amla fruit is sour and astringent in taste, with sweet, bitter and pungent secondary tastes. Its qualities are light and dry, the post digestive effect is sweet and its energy is cooling. According to Ayurveda, amla balances all three doshas. While amla is unusual in that it contains five out of the six tastes recognized by Ayurveda, it is most important to recognize the effects of the "virya", or potency, and "vipaka", or post-digestive effect. Considered in this light, Amla is particularly helpful in reducing pitta due to its cooling energy. It also balances both Pitta and Vata by virtue of its sweet taste. The Kapha is balanced primarily due to its drying action. It may be used as a Rasayana (rejuvenative) to promote longevity, and traditionally to enhance digestion, treat constipation, reduce fever, purify the blood, reduce a cough, alleviate asthma strengthen the heart, benefit the eye, stimulate hair growth, enliven the body, and enhance intellect. Indian gooseberry is one of the home remedies which you can be used in your home for your health care. 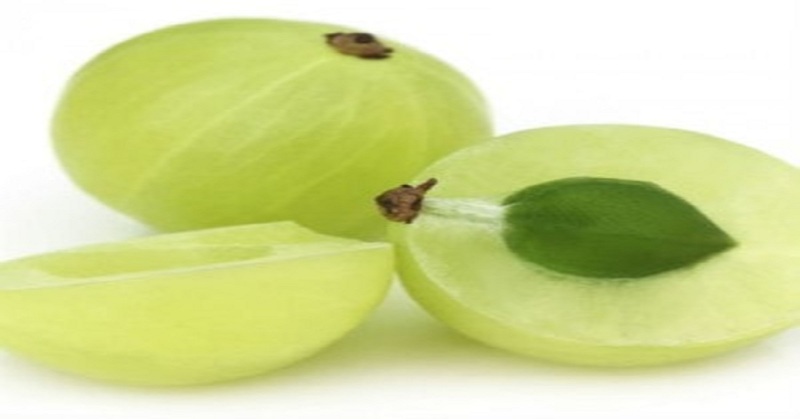 There are so many health benefits of Indian gooseberry like Burn fat, eyesight, mouth ulcers and many more things. Popularly used in inks, shampoos and hair oils, the high tannin content of Indian gooseberry fruit serves as a mordant for fixing dyes in fabrics Amla shampoos and hair oil are traditionally believed to nourish the hair and scalp and prevent premature grey hair.